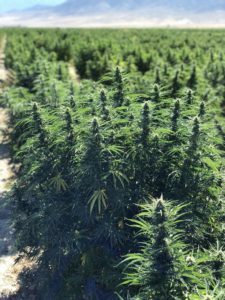 As I write this article on the future of Hemp, the 2018 Farm Bill conference meeting is taking place in DC (watch here), with the potential to legalize hemp and hemp derivatives, including CBD. With multiple mentions of the late John McCain, the conference is a great example of bipartisan collaboration. I believe this conference will create middle ground, and their final revised bill will pass both the House and Senate legalizing the Hemp industry. This bill sets the stage for a quickly growing industry to explode in growth, but are we ready? The answer is no. Be prepared to navigate bottlenecks in the industry, pricing volatility, competition and opportunity stemming from import / export. Join us as we dive into the post harvest bottlenecks to keep you ahead of the curve. So what happens after harvest? With the explosive growth of CBD, we are experiencing a severe pre-harvest bottle neck due to a lack of high quality raw materials. In 2016, we saw approximately 16,377 acres of Hemp licensed to production, this number grew to 39,194 acres in 2017. In 2018 this number is likely 100,000+ acres, the exact number is difficult to pinpoint because licensed acres to grow doesn’t mean seed in the ground, nor a successful crop. What we do know is there will be a few bottlenecks as the industry scales and as farmers and processors develop new relationships and systems. As production increases in the Hemp industry, harvesting crops will be the first bottleneck. At harvest, the market floods with biomass which will be sold over the coming year. This means that the material must be processed and stored for longevity and quality. Many farmers who are starting from the ground need to located established farming infrastructure to dry their material, and store it for safekeeping. Look to existing agricultural solutions to service your crop on contract. For example, contract large drying facilities and warehouses used for crops like tobacco which can store your material in the ideal environment. As the Hemp industry scales up, we expect farm acreage will scale more quickly than the hemp processors. This means that come harvest, we will be in a surplus of biomass material, a welcome sigh of relief for CBD buyers. This comes with challenges as buyer’s will have negotiating power due to supply outpacing demand. We expect competition to sell crops to result in a 50% drop in price for biomass. This will be driven by hungry farmers who need to sell crops to stay solvent, and large farms who have established infrastructure to reduce their COGS. To prepare, many farmers are selling future contracts on their crop. By selling a portion of crops, there is guaranteed stability in sales price in a volatile and unknown market. Processors are locking into these lucrative contracts, which are a win-win for the well prepared in the industry. The best way to find a buyer? List your product on Kushmarketplace.com/hemp as we are in constant contact with processors across the country. Michel our Kush Marketplace Farm consultant is a great resource, give him a call at 425-606-7236 if you have questions or need assistance getting your product in front of biomass buyers. Demand for raw CBD additives such as zero THC distillate or Isolate will continue to climb. At the San Jose World CBD Expo, merchant service businesses claimed to be registering over 100 new CBD accounts every month! That is just a start. If this farm bill passes, we will see this number accelerate, more importantly, we will see large consumer goods brands enter this market pushing demand to new heights. The problem is that we lack processing infrastructure. There are three stages to processing to create a CBD additive product. Crude extraction, Distillation and Isolation. In Kentucky facilities will be able to run 10 tons of biomass per day into crude, which will produce 2000 liters of crude per day. This is small scale compared to the contract agricultural processors that will enter low level extraction after legalization. I do not think crude will be the bottleneck. Distillation will be a noticeable bottleneck, but with established infrastructure in essential oils I think we will see relief from contract manufacturers. Isolation is pretty unique to pharmaceuticals and the CBD world. Larger isolation labs in Colorado are producing 500-1000 kilos of isolate per month, and working to scale up. To put this in perspective, a Kentucky lab producing 2000 kilos per day of crude cbd oil is creating enough material to produce 750 kilos of isolate PER DAY. I do not see relief coming to CBD isolation in the next year, and I believe processors will have a months long backlog. I’m raising the red flag here, work with a broker or reach out to labs secure a contract for isolation of your material. What are the different types of pre-roll joints?